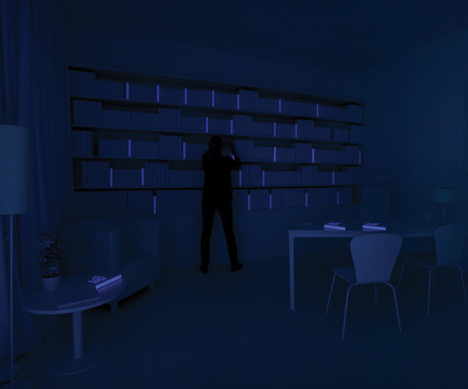 Croatian designers Bruketa & Žinić have created a book that can only be identified in the dark. 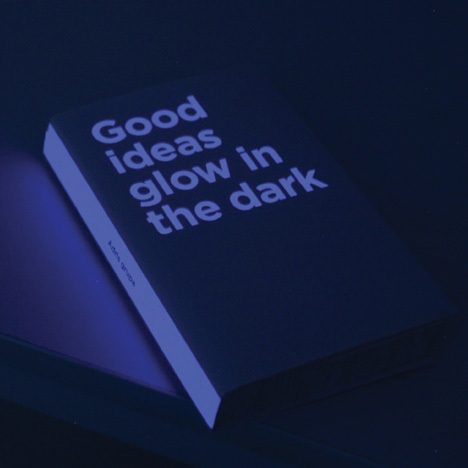 When the lights are turned off, words glow on the cover and spine of the annual report for investment company Adris. 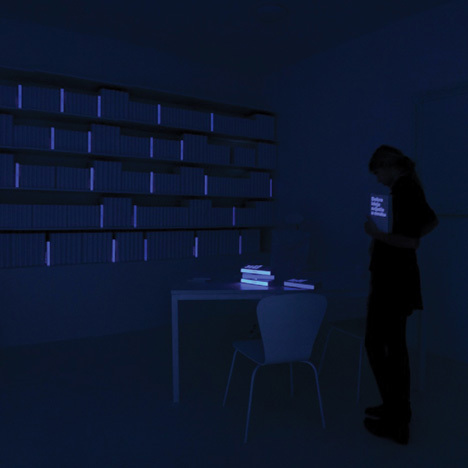 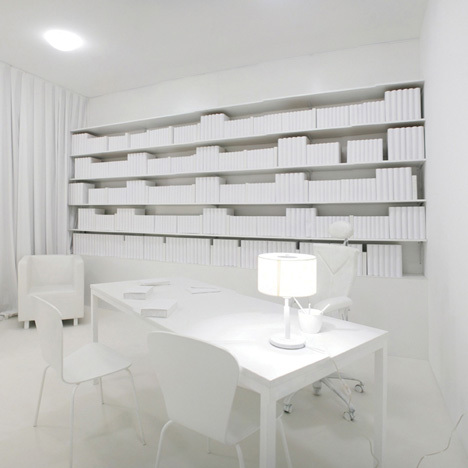 Copies of the book were displayed at a media festival room, designed by shop-concept studio Brigada, where lights were turned on and off at intervals. 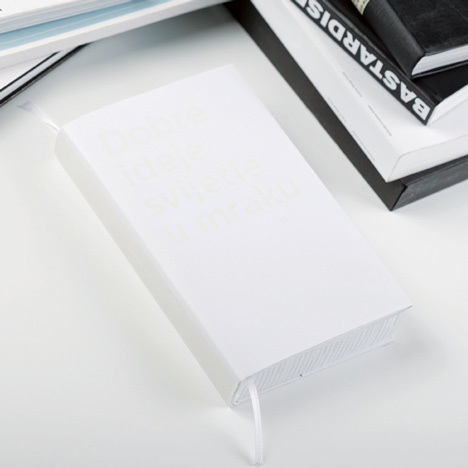 Bruketa&Žinić previously designed a book that had to be baked before it could be read - see our earlier story. 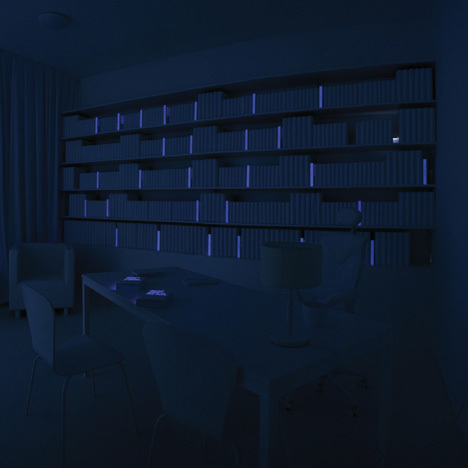 "We created a room in which, upon entering, the lights fade out and the only things that glow are the annual reports of Adris on shelves and tables."